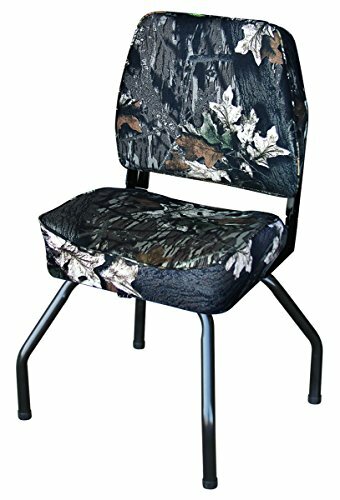 Hunting Blind Seat featuring WD618PLS Camouflage Seat, WD1234 Seat Stand and WD10 Swivel. Seat uses State-of-the-Art, High-Impact Plastic Frames constructed with Compression Foam Padding and 500 Denier Cordura Covering. Seat Dimensions - Height: 18.75", Width: 15.75", Depth: 18.5", Seat Depth: 14"
Frame Height: 12.875" Width: 20.25" Depth: 18.5", Height with Stand to Top of Bottom Seat Cushion: 17.75", Total Height with Stand: 32"